A U.S. navy training aircraft has reportedly crashed near Tellico Plains in Tennessee. However, the U.S. Navy said that it was investigating reports of a military jet that crashed near Tellico Plains in the Cherokee National Forest as it appeared unlikely that the crew survived. "Training Air Wing ONE and CNATRA are investigating the possibility that it is a T-45 from Training Air Wing ONE based out of NAS Meridian, Miss. 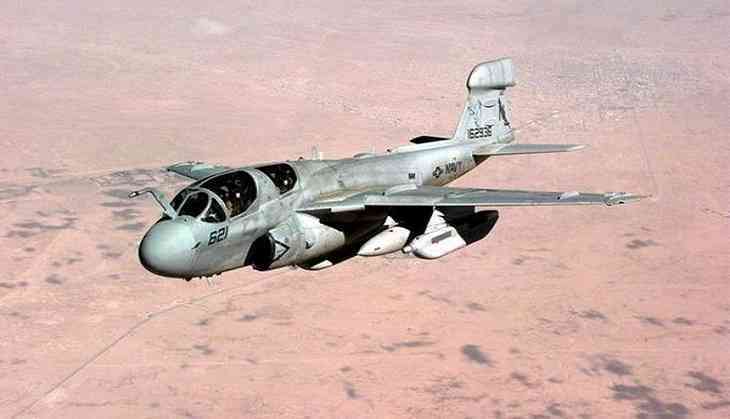 At this time, we know the wing had a T-45C Goshawk training in the vicinity of Tellico Plains that has not yet returned to the air station," the U.S. Navy said in a statement. Two pilots were on board - an instructor and a student. According to the reports, the T-45 is used to train all the U.S. Navy student pilots in jet aircraft.